Those looking for a vacation home in a destination where sunshine, fine wine, golf, watersports and outdoor activities top the highlight list, often turn to Kelowna and the Okanagan Valley for their second home. Whether you work in Toronto, Vancouver, Seattle, Calgary or the US West Coast, Kelowna is a short flight or drive away, making it a wonderful location for a second home. The Okanagan is fast becoming a favourite vacation destination with epicureans, oenophiles, athletes and art lovers who want a holiday in the sun without the stress of planning or traveling to unfamiliar locations. Those who invest in a vacation home love the ease of it all. You can pack light, come and go as you please, and enjoy the comforts and familiarity of home while taking a break from your every day life. In addition, Kelowna and the entire Okanagan Valley offer a wonderful return on your investment so while you rest, relax and play, your lifestyle and your investment will benefit from the value-added experience. 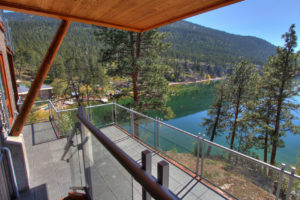 Why Choose The Okanagan Valley For Your Vacation Home? For wine lovers the abundance of boutique artisan wineries ensures you can experience a unique wine tasting experience year after year. For sporting types we have world-class golf courses with astounding views, the lakes provide water sports enthusiasts with sailing, paddling, seadoos and parasailing. The pristine and mineral rich waters of Kalamalka lake surprise and delight visitors, and locals never tire of the view. Music lovers can enjoy intimate performances from Kelowna Opera or the Okanagan Symphony, and the Okanagan has long been a favourite settling place for talented artists who find the environment creatively inspiring. The local cuisine benefits from the well-established agricultural community. Local farmers provide local restaurants with a cornucopia of fresh, organic produce. And where else in the world can you still take a stroll down a country lane and pick a fresh juicy peach or a succulent, sun-kissed cherry from the tree? Buying a summer home in the Okanagan is not just a financial investment, it is an investment in the health and wellbeing for your whole family. And we guarantee that once you have experienced what we have to offer, you won’t just want to vacation here, you’ll want to stay. Why not talk to a Jane Hoffman Group agent about available holiday listings; we have a diverse portfolio of listings that range from luxury single dwellings to shared ownership waterside condos. Semi Waterfront location! A quiet road between you and the lake! Nestled perfectly to capture some of the best uninterrupted lake views the Okanagan has to offer. This lake view home offers over 3700 square feet of interior living with 3 bedrooms, den and 3 baths. Waterfront on Okanagan Lake! The Outback” Award winning lakefront community. Located on a quiet bay with sandy beach! Complex offers a wide range of amenities, swimming pools, hot tub, club house, gym and tennis courts. 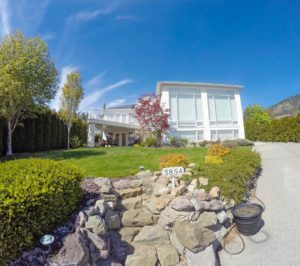 This luxury home is perched at the most southern tip of the community and offers one of the best lake views available. Use of glass within the interior showcases the outstanding lake views.